The Search Engine giant is not going to spare the Pirated content providing sites. Google is ready to fulfill its commitment to downgrade the search rankings of ‘notorious’ piracy sites globally that often rank above legal and commercial sites. 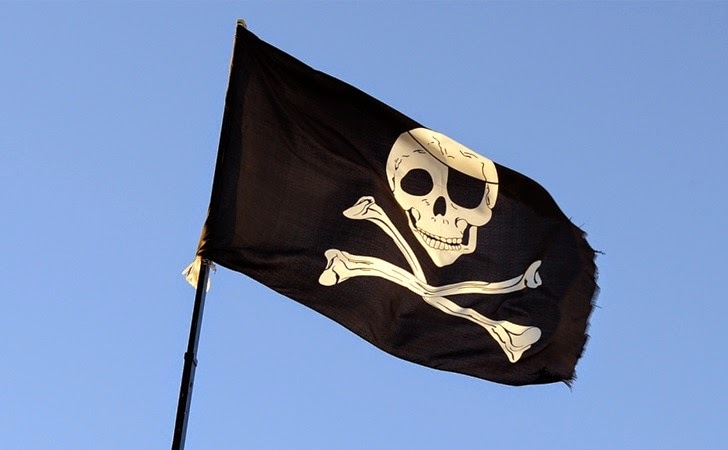 Google and the Copyright holders are, to some extent, enemies for years, but in Google's ongoing anti-piracy efforts, the company will fight copyright infringement and assure rights holders that their contents will be appeared at the top of its search results and that the search made up only a small portion of pirate traffic. Google is preparing major tweaks to its search engine, which you’ll be able to see this week, to ensure that the ‘notorious’ piracy sites that enable the downloading or streaming of pirated contents are out of search results when people search for music, movies and other copyrighted content. The announcement of the algorithm update came as Google updated “How Google Fights Piracy” report to show that how Google is trying to help combat piracy. The report also shows that Google-owned YouTube paid out $1 billion to copyright holders in a program that allows them to monetize unauthorized use of their copyrighted material uploaded to the video-sharing site. The move is in response to a previous promise made by the company in 2012, on which legal music and movie industries were claiming Google that it didn’t follow through on the commitment it made. But with this round of efforts to combat piracy, Google says the results will be noteworthy. "In August 2012 we first announced that we would downrank sites for which we received a large number of valid DMCA notices," Google’s senior copyright counsel Katherine Oyama explained on Friday in a blog post. "We’ve now refined the signal in ways we expect to visibly affect the rankings of some of the most notorious sites." "We’ve now refined the signal in ways we expect to visibly affect the rankings of some of the most notorious sites. This update will roll out globally starting next week." The report noted that Google’s new ad formats have been designed to redirect users to legitimate sources whenever they search for things like "download", "free" or "watch" alongside music and movie-related search queries. The way advertisements are presented is also being tweaked, with links to legal streaming services and online shops presenting users with destinations when they use certain keywords. The new ad format will roll out first in the United States, but there are plans to implement it internationally as well. The "How Google Fights Piracy" report suggests that Google handled millions DMCA (Digital Millennium Copyright Act) requests each year -- more than 224 million in 2013 -- from copyright holders asking Google to remove infringing Web sites from its search results. "We ultimately removed 222M, which means we rejected or reinstated less than one percent after review because we either needed additional information, were unable to find the page, or concluded that the material was not infringing," the report said. The top three sites where links were removed from the Google search results were RapidGator, 4Shared, and Dilandau. All of three are illegal websites with more than seven million takedown requests. The company has also stated that they will be removing more terms from its auto-complete search feature with many DMCA demoted sites, based on DMCA removal notices. "We’ve begun demoting auto complete predictions that return results with many DMCA demoted sites." Moreover, Google is also implementing an “improved DMCA demotion signal” for search results. This means that websites with more number of DMCA notices for infringement will be automatically pushed down in the search engine rankings. "Even for the websites that have received the highest numbers of notices, the number of noticed pages is typically only a tiny fraction of the total number of pages on the site," the new report said. "It would be inappropriate to remove entire sites under these circumstances." We are sure that with these new changes to its anti-piracy policy, Google will be making combating piracy more efficient.